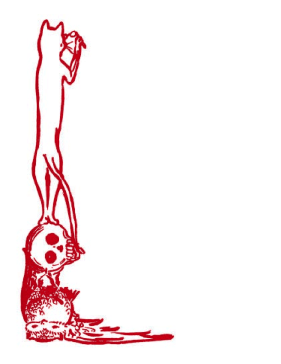 This cat and skull border features a cat standing upon a skull in shades of red. The skull rests on an owl, and the cat is holding a pair a glasses. This is a unique design, perfect for a bookstore, scholar, or any creative type.